Looks good Mike - it looks like we've gone after much the same aim! 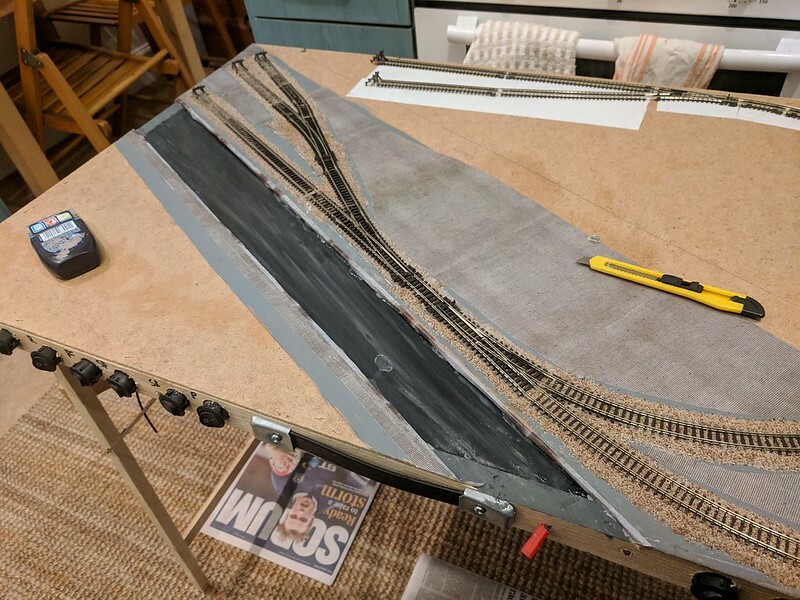 Laying down some scalescenes cobbles on the side nearest the front to represent the towpath. 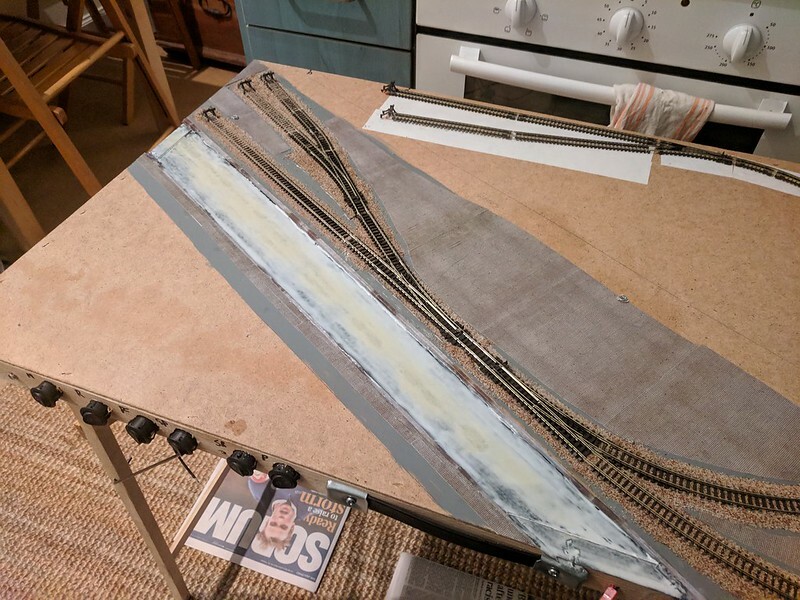 The next job is painting the panel of board I've got for the canal base, then creating the water. 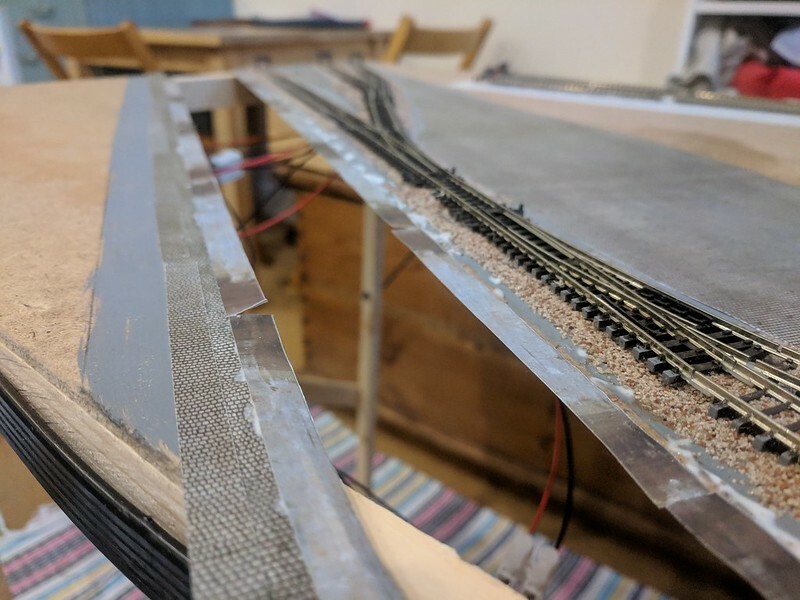 I didn't make much progress last night - I'd hoped to get my backscene sorted but when I opened the tube it turned out the small Gaugemaster ones are only 3 or so feet long, which isn't enough to do the job. 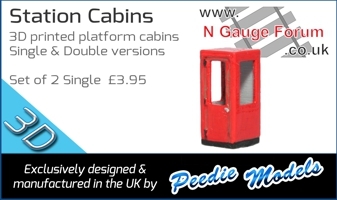 I've ordered another, and used the opportunity to get some Scenecraft buildings cheap in Kernow's sale. 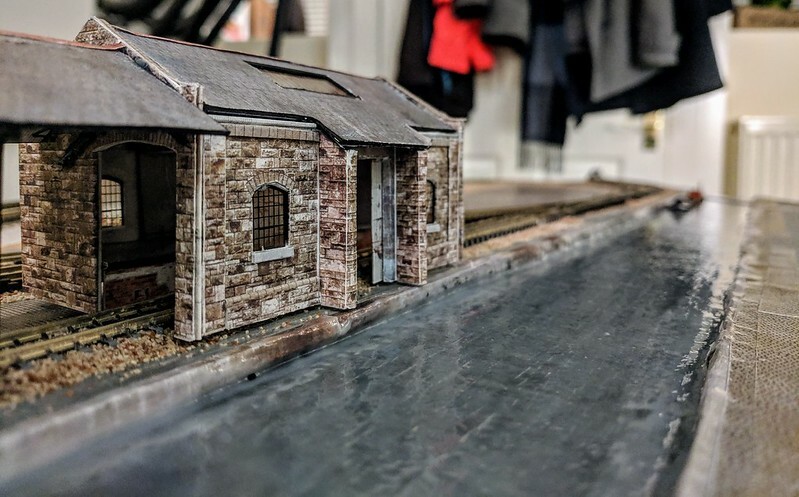 This means I'll be putting a boiler house in the front left corner of the layout to represent the engine house that's just to the south east of the sidings in real life. I painted the base of the canal. It's much lighter than this in real life, with some browns for good measure. 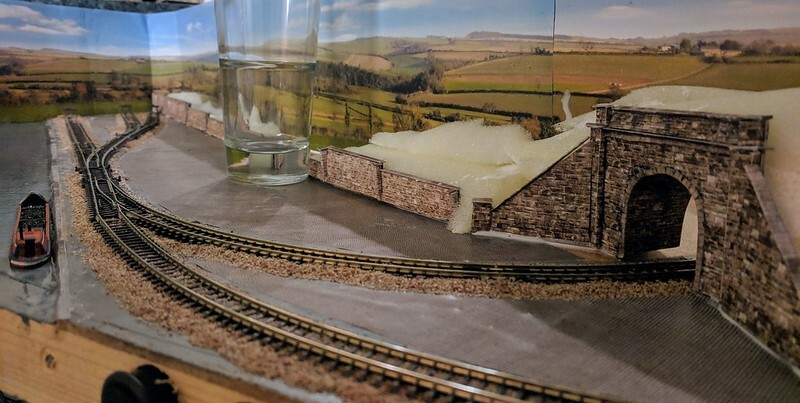 Then I glued it in place, weighted at first with bottles but the central part of the side by the sidings was sagging a bit. I ended up leaning my bike against it overnight to fix it! It was the biggest, heaviest book that wasn't my wifes that was available! The bottles and books have been removed and the botom of the canal is in place. I'm going to have to reattach some wires that got knocked out of place but in the meantime I thought I'd get on with sorting the water. My wife was watching Call the Midwife when I got home last night and I'd already made dinner so put down the first layer last night. 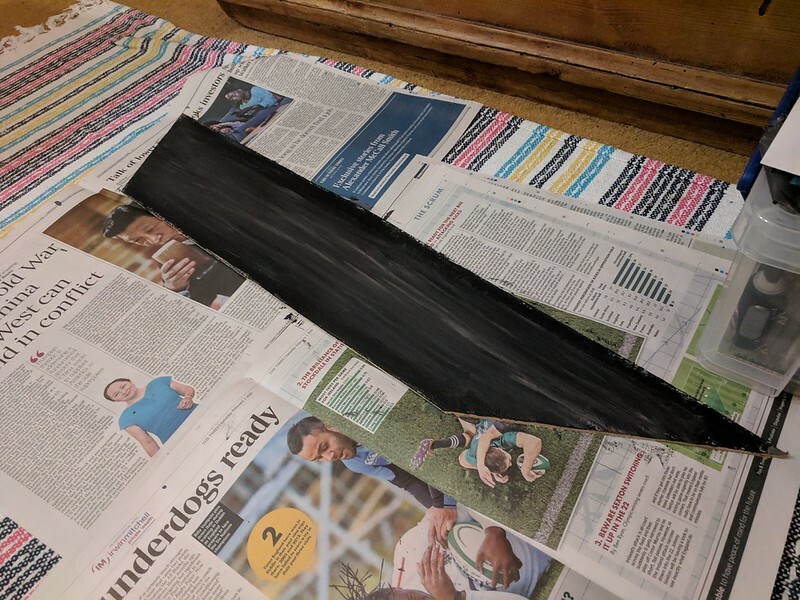 Enough PVA glue to cover the bed with a thin layer was poured on. The glue was then spread about using a sponge roller from a Dulux paint tester. This has given it a little bit of a texture that looks reasonably watery. 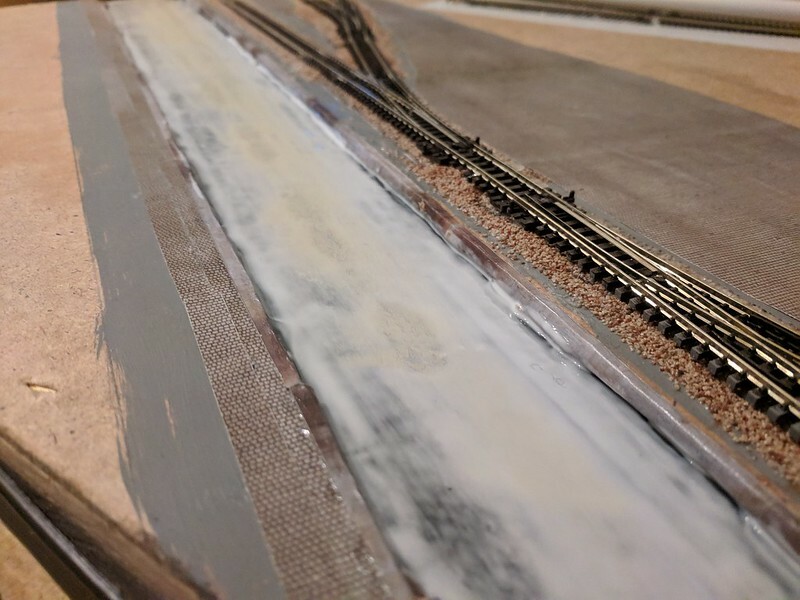 I used a small paintbrush to get the glue up to the edges of the canal wall. 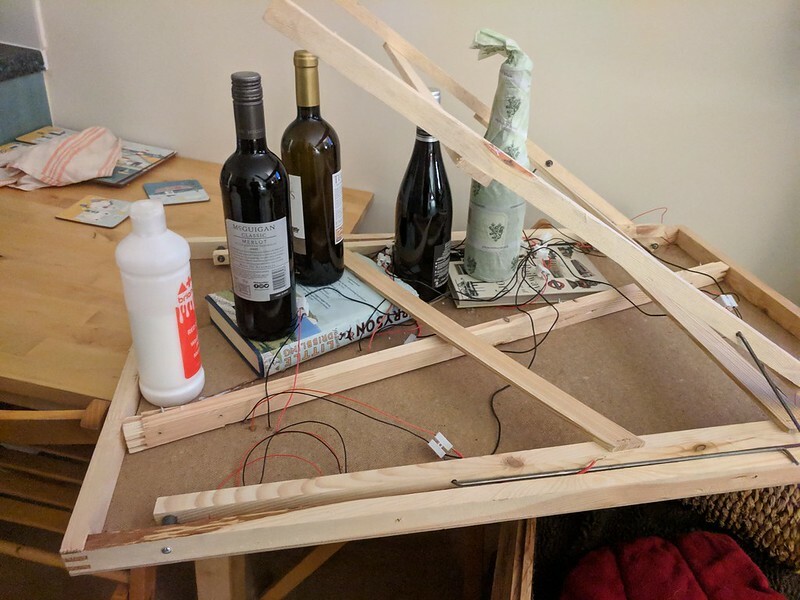 A little bit of green paint got on the roller and into the glue - I'm interested to see how this turns out but this may have to be a trial run! Looks very good Luke! I am intrigued what happens next to the PVA, do you go over it with varnish? More paint? Darrwest- the PVA is it, it is the water. Sure enough, some green paint go stuck in the first coat of glue so I had to start again. It's done now- one less coat would have made it clearer but it shines well and looks much lighter in photos than it does in real life. 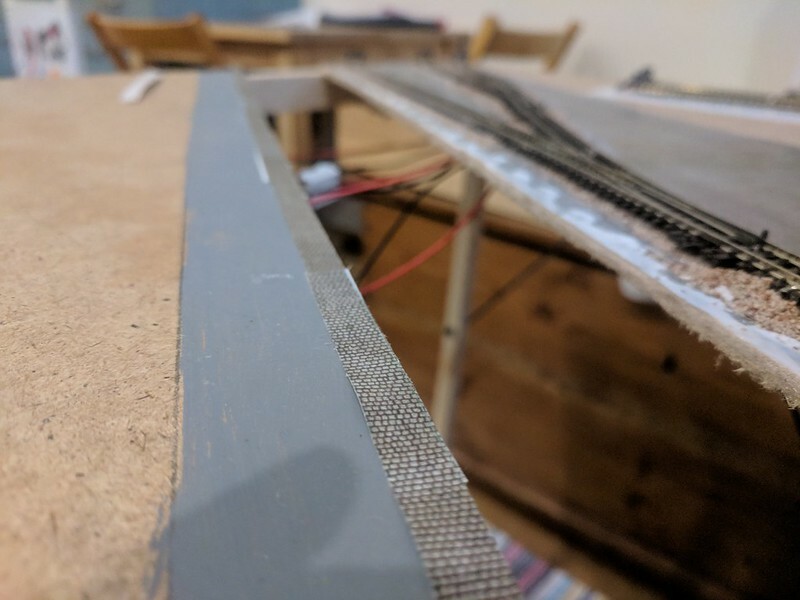 With the canal roughly finished I've moved on to making the retaining wall along the back edge. 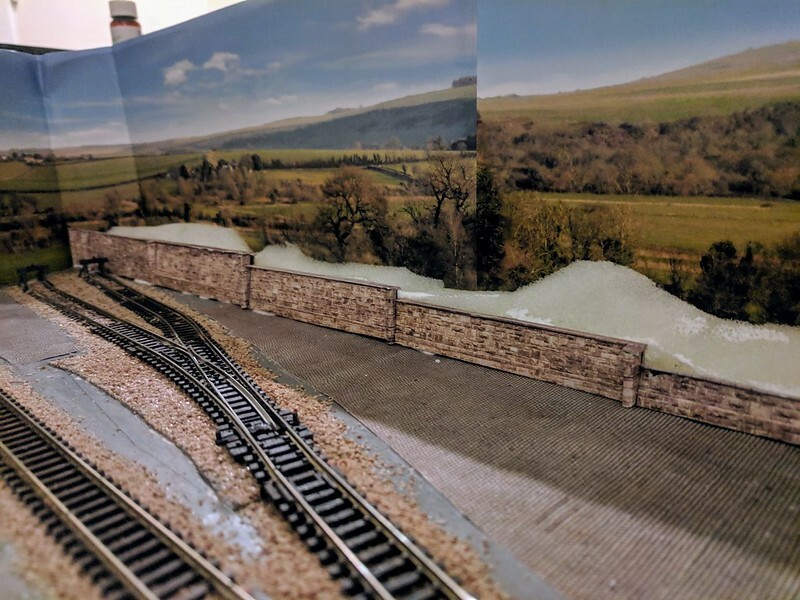 This is also a Scalescenes kit but rather than using card for the wall itself I've used Antinox correx sheet, which is less effected by wetness and is a bit more robust without adding any weight. 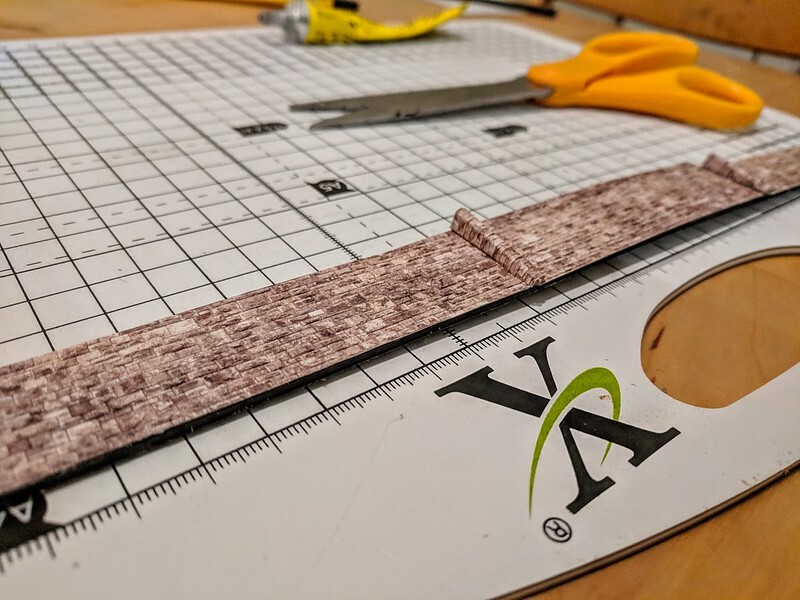 I'll also be using this to glue the backscene to. That looks pretty good to me,. I klike the brown stone effect . Is it limestone? Ithink that adding a similarly colured retaining wall will greatly enhance the scene. Will you be adding any greenery (rushes etc) to the canal side....and a swan or two? 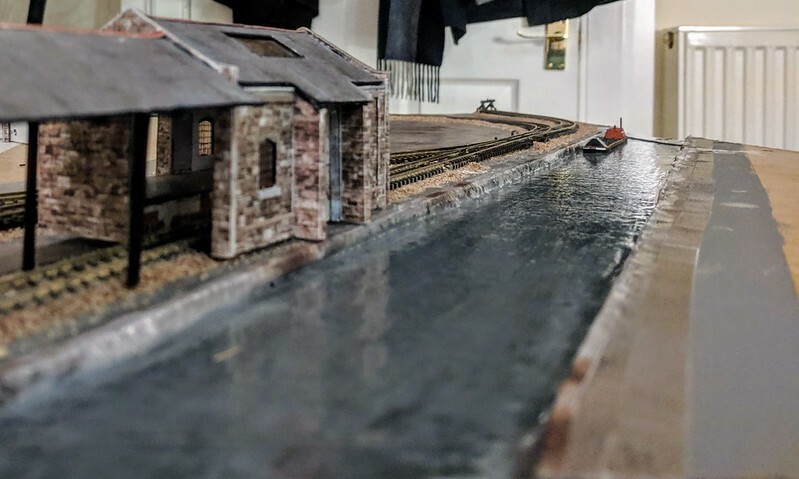 I like the barge.... scratchbuilt? If not, what is it's source, please? You know, I hadn't thought about adding any wildlife to the canal but given I see the same two swans every morning on the canal I think I'll investigate that. The brown stone is Scalescenes' "random ashlar" option for their models. I'm using it here to represent millstone grit, which is the typical building stone in the Peak District. I'm not sure what to do about greenery in the canal itself. 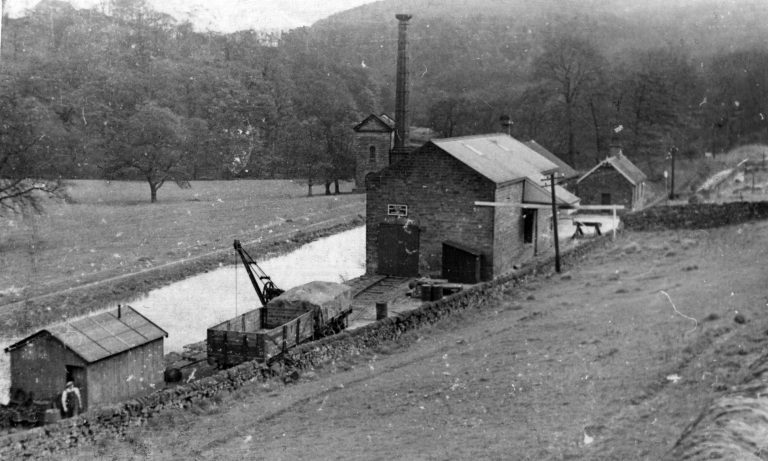 I can't find any historic photos clearly showing the canal older than the 1950s, when the canal was hardly being used. These show a covering of algae and reeds. These two that I've found show no vegetation in the canal itself, just along the top of the walls. And nowadays it also doesn't have any vegetation in it on this stretch which is used by boats. Further along, where the boats can't go, there are a lot of reeds. 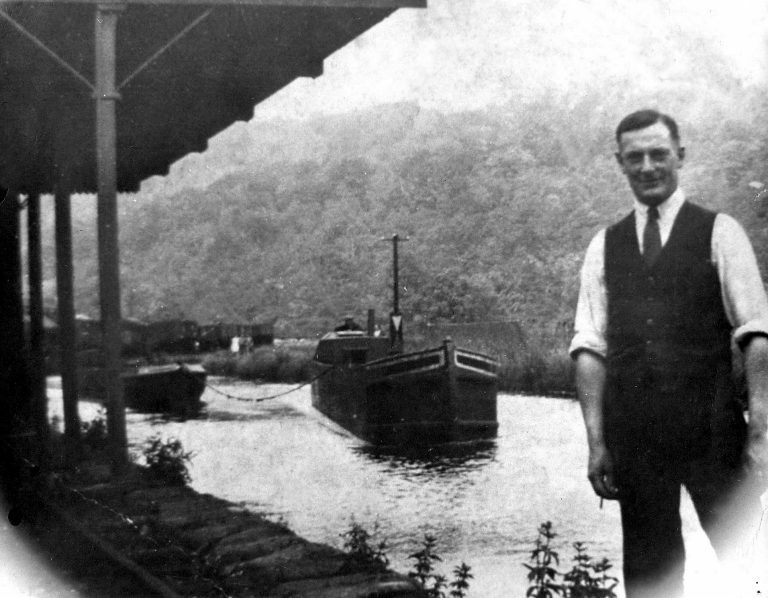 Bealman - I like the canal boat too! So much I wanted to buy another but sadly the guy that I bought it from on ebay has run out and only has OO ones left. 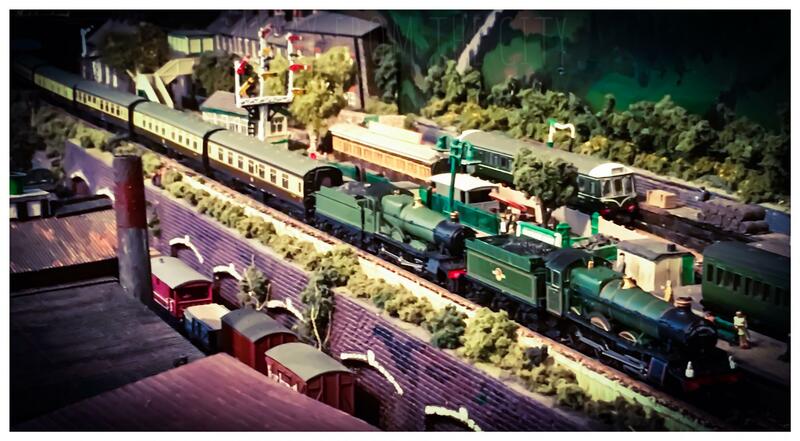 I think I'm going to get one of Ancorton's models instead. I love canals on layouts but I took the easy option of a canal through lush grass and woodland. 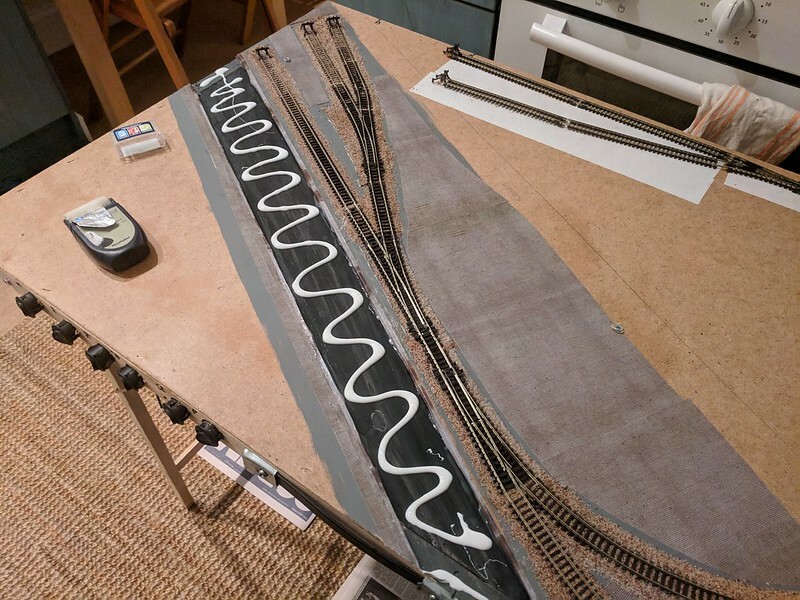 I think to model an industrial canal offers its own challenges. As in the bottom photograph only the slightest bit of green weeds at the base of the buildings and where they dip into the canal. Burnt green scatter stuck on with PVA then matt varnished should work but of course, it’ll be tricky. Clever with the PVA, very clever! Looks great! Last night I finished the retaining walls (which didn't take long, the bulk of the work was done) and set about putting them in place. 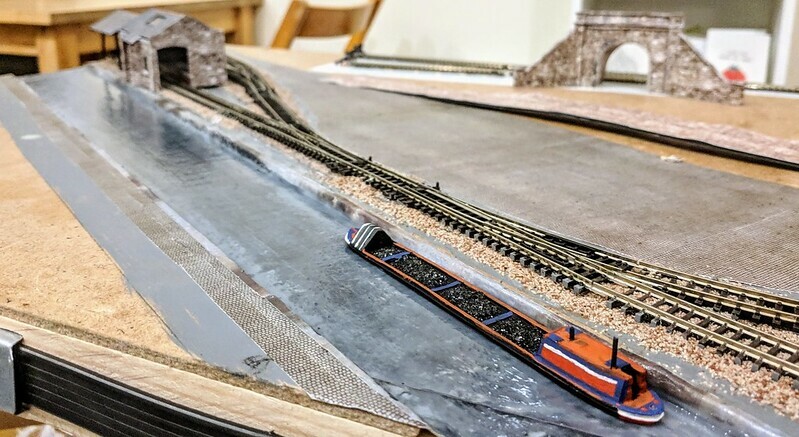 Before I glued them down I had to put the backscene up so that the walls and tunnels were in the right place. 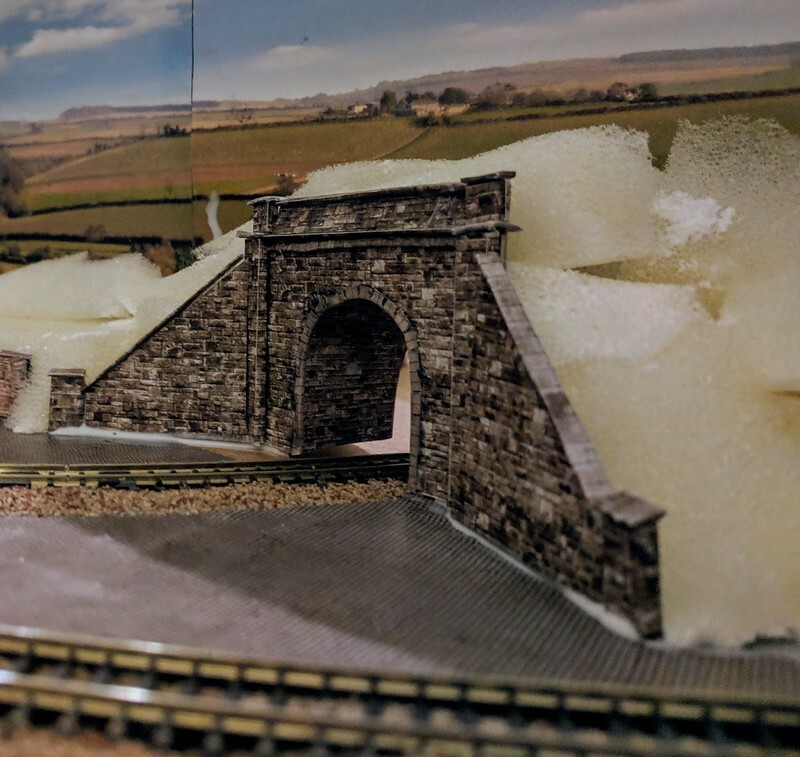 With the backscene screwed down and the retaining walls glued in I set about creating the landscape using the foam Kernow had packed out my order with- very handy! Page created in 0.266 seconds with 40 queries.